Mobile Phones – this generation’s Swiss Army Knife: To judge by the responses to this study, the world IS getting flatter – and mobile phones are the technology that literally everyone, in every country in this study, owns. Around the world, students wrote that if there is one tool they can’t do without, it’s their cell phones. Without their “hand-helds,” the students reported that they felt cut off not only from media, but from all that mattered to them. Cell phones are habit-forming: Students reported wanting and needing all the functionalities of their hand-helds, but they also repeatedly noted how the mere presence of their phones was soothing to them. 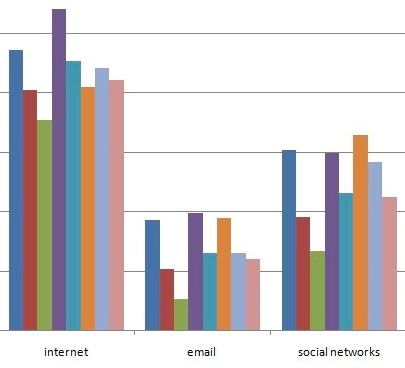 Different ways of communicating, to reach different types of people: Students reported that they reached out in different ways: they called their mothers, they texted close friends, they Facebooked with their social group, they emailed their professors and employers. And increasingly they are doing all that off their mobile phones. 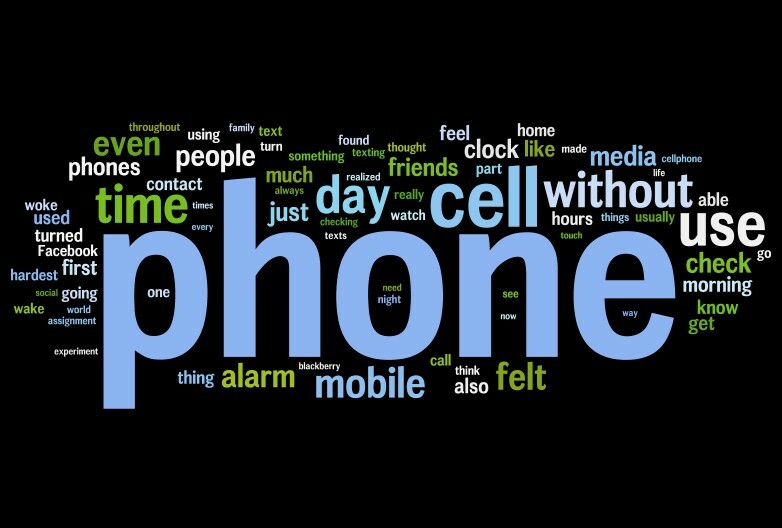 Mobile Phones – Not just for communication: It became clear in the hundreds of thousands of words the students wrote, that mobile phones are at the center of students’ lives. Not only are they the main way students in this study across all five continents communicate with their friends and family, phones are the main way in which students plan their lives. Students text, handle their email, and surf to Facebook (or other social networking sites) all via their phones. Self-Soothing: Mobile Phones as a Security Blanket: Phones offered connection and comfort. Still others referred to their relationship to their mobile devices as beyond comfort – they were addicted. No matter what time of day or circumstances, students felt the need to check their mobile phones. Students self-reported feeling as though they were in withdrawal. They reported on how they managed their “habit.” They documented being taken in by phantom ringing of their phones or overcome with an unbearable urge to play with these mobile devices. Must Phone Home: As the previous study, 24 Hours: Unplugged, observed, men and women both reported that they text their friends, but tended to call their parents. Students spoke of missing their frequent phone contact with their family – they missed sharing news and getting advice – and they noted that their mothers would worry if they didn’t call to check in.